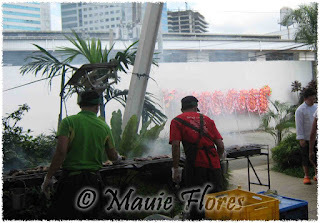 My family and I were invited to a Saturday Barbecue and Family Day at Nuvo City Lifestyle Center in Libis, Quezon City. It was an Open House of sorts for Nuvo City's Aspire tower. The building will be another addition to the roster of luxury high-rise residential flats in the area. We were privileged to visit the Studio, 1 bedroom, and 2bedroom model units. All I can say is that it is ultimate city living with style. Nuvo City envisions a commercial and residential community right in the corner of C5 and Calle Industria. The part of the huge property (that is, from Shopwise to the corner of Calle Industria) facing C5 will be the commercial areas. As I remember, there will be three residential towers that will rise in the area and Aspire is one of them. I have been to the Nuvo City Lifestyle Center way back in December of last year when we did our bazaar hopping for Christmas gifts. 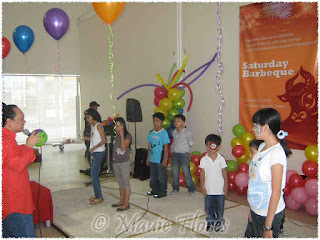 Last Saturday, the area where the bazaar was set up months ago was transformed into kiddie party place. 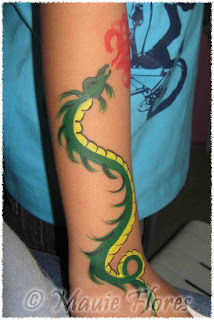 The theme was "East Meets West" since we were having a Western Barbecue Party with a Chinese Buffet. 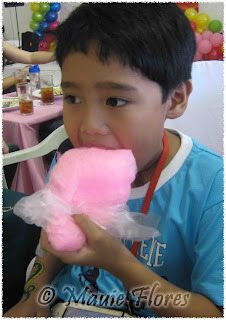 And since it was a Family Day, the kids were treated to games and other activities while the adults go around visiting the model units. 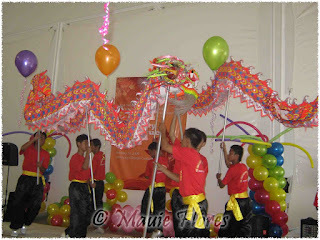 A dragon dance was performed in lieu of the Chinese New Year. If you are interested in viewing the units, please feel free to view the website and contact Ms. Karla Bel Molina at 0917-8290586.